Face appears smooth and radiant. 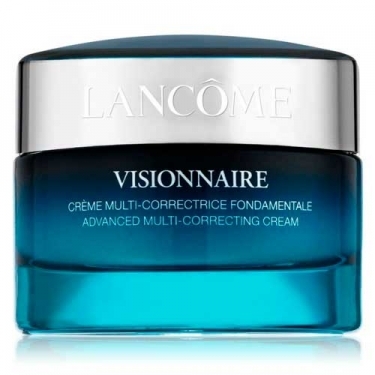 Visionnaire Cream is a Lancôme advanced multicorrector cream to target wrinkles, radiance and plumpness. 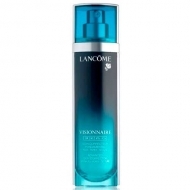 This formula was developed with the powerful LR 2412 molecule associated with a cocktail of active ingredients such as moisturizing properties of hyaluronic acid, designed to a visible multi-correcting action on skin. 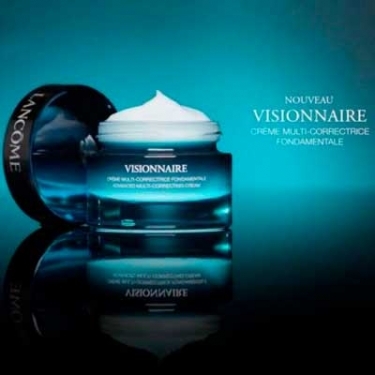 The fresh and moisturizing texture melts in the face as a second skin to improve radiance and even out texture. Day after day, wrinkles appear corrected, the texture feels smoother, the skin looks luminous and plumped with hydration. Hydrated, the skin feels more supple and soft. Smoothed, it catches the light for a sublime and lasting glow from the 1st application.